In our recent coverage of opioid epidemic funding, we’re been largely focusing on the efforts of health insurance foundations because these are the funders that have really stepping things up. For example, the Independence Blue Cross Foundation has been making strides against opioid addiction in Southeastern Pennsylvania, while the Aetna Foundation has been tackling communities in North Carolina, and the Colorado Health Foundation in its home state. But what about the philanthropic efforts of pharmaceutical corporations? 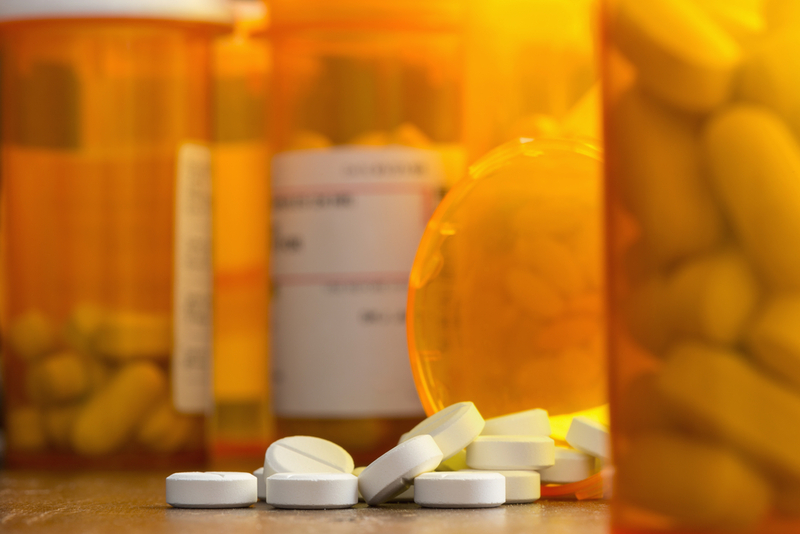 Recently, we reported on how the global healthcare and pharma giant McKesson Corporation had created a new foundation dedicated to combating opioid abuse, promising $100 million for the effort. We raised questions about whether pharma firms should be able to reap PR benefits by addressing a problem they helped create. On the other hand, we noted that any and all new funding is badly needed to fund anti-opioid efforts. Today’s story brings us to a city that has been hit hard by opioid abuse: Philadelphia. One pharmaceutical funder that has started paying attention to the local need here is the AmerisourceBergen Foundation, which is based just outside of Philadelphia and launched its own grantmaking foundation in 2014. When we first interviewed the foundation’s president, Gina Clark, back in September 2017, we learned that access to health care, especially in the region’s medically underserved areas, was the top local priority. But with the opioid crisis still plaguing the Philadelphia area and beyond, AmerisourceBergen has been stepping in to get involved. Like McKesson, AmerisourceBergen has faced lawsuits for its role in fueling an opioid epidemic that's been claiming tens of thousands of lives a year. Four state attorneys general have sued the company for excessively distributing opioids and not reporting suspicious orders of the drugs to state and federal authorities. Last year, AmerisourceBergen agreed to pay $16 million to settle a lawsuit filed in 2012 by West Virginia’s attorney general that alleged the company shipped millions of oxycodone and hydrocodone pills to the state in spite of alarming statewide rates of addiction and overdose. So, at this point, it’s not surprising to see the company and its foundation stepping forward to do more to tackle the opioid issue. Whether AmerisourceBergen is doing so out of a bid for good publicity or sense of moral responsibility—or both—it's good to see more resources flowing to anti-opioid work. To learn more about how the AmerisourceBergen Foundation is approaching this area, we got back in touch with Gina Clark last month. She explained that the foundation is coming at the issue in three ways: safe disposal, education, and collaboration. So, for example, the foundation is distributing approximately 50,000 free drug deactivation pouches and products to municipalities that applied for these resources in the states of Pennsylvania, Ohio, North Carolina, Texas, and Missouri. This is part of the funder’s municipal support program that was launched last December, and rural areas are a big focus of the effort. We also donated 25,000 units to Americares, a health-focused relief and development organization that responds to people affected by poverty or disaster. The organization is distributing the deactivation pouches to free clinics and community health centers nationwide serving low-income and uninsured patients in need. Last month, the funder awarded a $95,000 grant to the Moyer Foundation to help launch an addiction prevention after-school program for kids in the Kensington neighborhood of Philadelphia. The program is targeting local kids who have been impacted by opioid abuse in their families. It also awarded Thomas Jefferson University in Philadelphia a $50,000 grant to sponsor the organization’s second annual Substance Use Disorders Symposium. The full-day event, which will happen on May 29, will "bring together healthcare providers, community representatives and lawmakers to discuss the creation of a citywide, coordinated approach to the opioid crisis," according to a press release. When developing our strategy to combat opioid abuse, we recognized the demand for initiatives that help drive sustained change, as well as programs that immediately arm communities with critical resources. We organized a focus group comprised of AmerisourceBergen associates whom shared their perspectives and identified key priority areas for funding, such as resources to promote safe disposal and education around prevention. We are also in the process of developing an External Advisory Committee, which will help shape and advance our opioid-related efforts moving forward. The committee will be comprised of key stakeholders and thought leaders across academia, healthcare, and recovery, with the goal of providing resources and helping prevent opioid misuse and abuse. Committee members will identify organizations for grant consideration and share recommendations with the AmerisourceBergen Foundation. While Greater Philadelphia has been a key part of the AmerisourceBergen Foundation’s opioid abuse strategy so far, it’s certainly not the only geographic area on the funder's radar. Another AmerisourceBergen approach to the opioid crisis involves partnering with the Prevent Action Alliance and Everfi for a digital education initiative aimed at high school students in Ohio. The initiative is all about fighting opioid misuse and empowering students to make better decisions about prescription medications they take. However you may view the role of pharmaceutical firms in taking on the opioid crisis, one thing to keep in mind is that these companies have a lot of knowledge and resources to bring to this issue. Opioid addiction is an amazingly complex and multifaceted problem and one that truly needs to be tackled from all sides to make a change.